Jürgen Klopp insists Liverpool will take to the field against Chelsea in the Carabao Cup on Wednesday evening with 'all focus' on trying to progress into the fourth round of the tournament. The Reds kick off their League Cup campaign for 2018-19 at Anfield where they’ll take on Maurizio Sarri’s side in the first of two meetings this week, with the second a Premier League encounter at Stamford Bridge on Saturday. 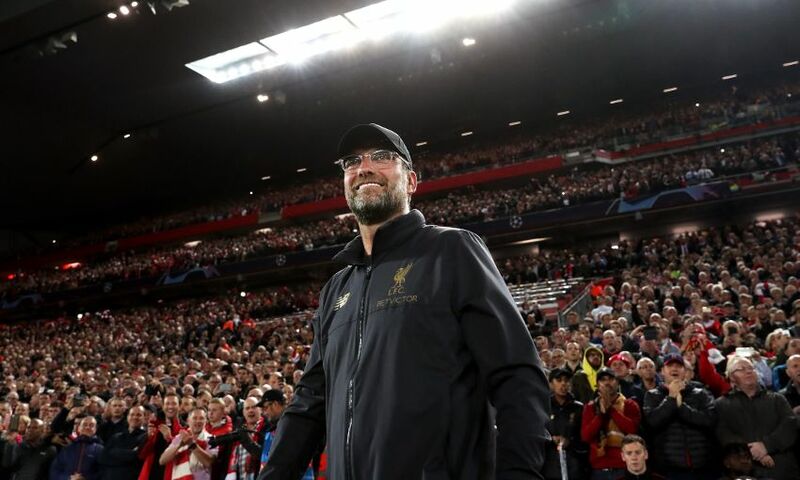 However, having vowed to field a ‘really strong side’, Klopp has outlined Liverpool’s ambitions of going all the way in the competition and asserted there’ll be no thoughts of what’s to come this weekend creeping into their approach. “First of all, we should completely ignore the game on Saturday because [tomorrow] is nothing to do with that,” the manager told journalists assembled at his pre-match press conference on Tuesday. “It is a completely different competition and a coincidence that we play them again in a few days. “Whoever we would have played tomorrow night, after the game we would only then start to prepare for the one on Saturday – and that’s exactly how we do it now. In the moment, we only think only about tomorrow night. “Now we want to show that we are ready for that as well. It’s a home game, floodlights, I like it [and it is] against very strong side, so it will be really interesting. Liverpool currently hold a two-point lead over Chelsea in the early-season Premier League standings, with the Blues’ 100 per cent start ended by a goalless draw at West Ham United on Sunday. Klopp has been impressed by what he’s witnessed from the Blues so far this term and outlined his respect for the work of his counterpart, Sarri, since his arrival at Stamford Bridge in the summer. “It’s the biggest change I ever saw in such a short period of time of system,” he said. “Wow, what a manager he is. I am pretty much a supporter of him since I saw them playing in Naples with outstanding football. “Now [he is] doing it in a very interrupted pre-season without a lot of players involved. Eden [Hazard] was not there, Giroud not there and a few players were out. [But] starting the season and you see immediately the impact, all my respect.